This modern home remodel went through a process of open editing. 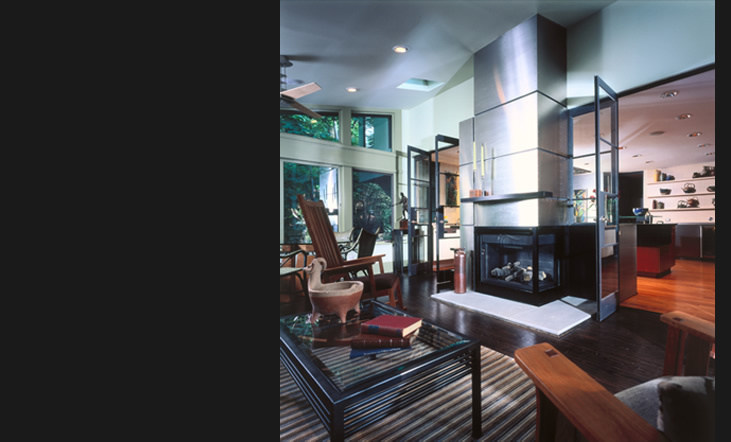 The central architectural design theme was to take an inwardly focused 1970's home and give it new life with an open plan that could take advantage of it's beautiful wooded Piedmont surroundings. Interior walls and cased openings were restructured to integrate open steel stairs and large scale windows to facilitate uninterrupted views.